Responsibilities: Art directed photo shoot and all of the retouching required for box elements. 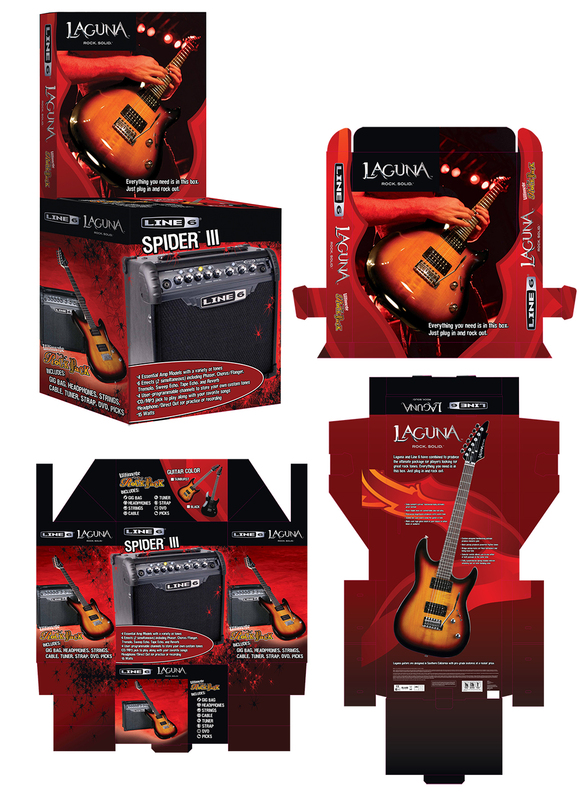 Implemented layout across the three piece dieline for the guitar pack box. Prepped files for release to the printer.